A B.C. man accused of setting up an illegal dental practice in the bedroom of a house near Vancouver has turned himself in, Toronto police have confirmed. 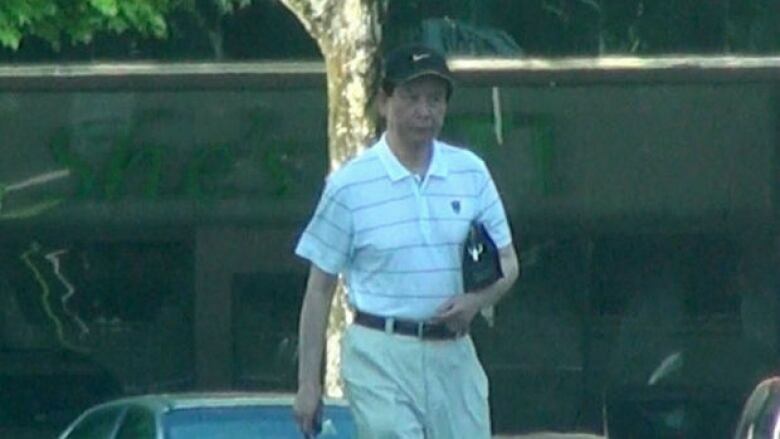 Tung Sheng "David" Wu, 62, was sentenced to three months in jail for contempt for ignoring a court order to stop practising dentistry without a licence,but B.C. 's College of Dental Surgeons had been unable to locate him. A Canada-wide warrant was issued for his arrest in August. Wu turned himself into police in Scarborough, Ont., Saturday, and has a bail hearing scheduled for Monday. "He surprised us by turning himself in. There was no forewarning that he'd be coming in," said Toronto police Staff Sgt. Gerry Heaney. "Sometimes lawyers will contact and say, 'My client is turning themselves in, there's a warrant for their arrest.' He just appeared at our front counter and said I'm wanted by the police in British Columbia and I'm turning myself in based on the advice from legal counsel." In May, the college and RCMP officers shut down one of Wu’s clinics, set up in a bedroom of his Burnaby home. The raid found Wu was operating in dirty and disorganized conditions, and the college issued a public warning urging Wu's patients to be tested for hepatitis B, hepatitis C and human immunodeficiency virus (HIV). Wu had been ordered by the court to stop practising dentistry without a licence back in 2003. Jerome Marburg, CEO of B.C. 's College of Dental Surgeons, told CBC News on Sunday they hope to have Wu brought back to B.C. soon. "We're obviously very gratified that he has [turned himself in] and that he's off the street. It's been a long haul," he said. When asked what Wu might be facing upon his return, Marburg said the so-called "bedroom dentist" has much to answer for. "He's facing some prison time. I would imagine there's quite a number of his former clients who have some hard questions for him that's he going to have to answer, and we also understand that the Canada Revenue Agency has some questions for him as well."